Tickets are limited, first come first served, so reserve your tickets today. Ticket sales will be open to the public on March 15th. Hungry for helping your community do something that future generations will enjoy? 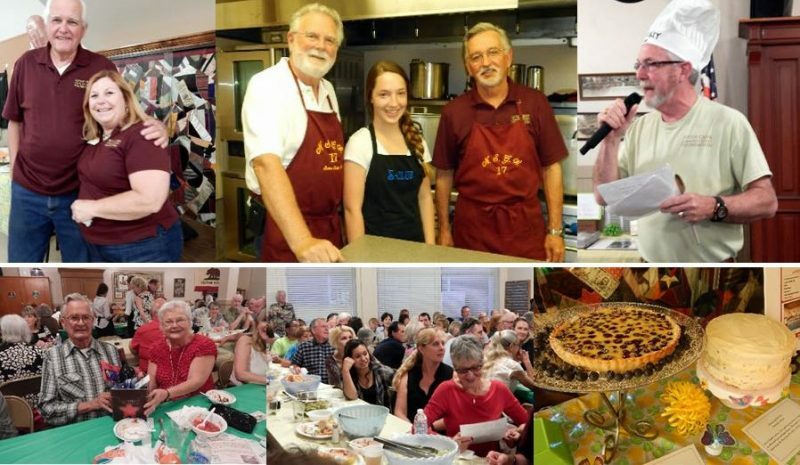 How about all the shrimp and pasta you can eat and benefit your community at the same time by restoring the Historic Sutter Creek Grammar School. The Sutter Creek Community Benefit Foundation is proud to present the 5th Annual Shrimp Feed on Saturday, May 11th. This delicious event will be held at the historic Native Sons Hall at 56 Main Street, Sutter Creek. The dinner will include: All you can eat Shrimp and Cocktail Sauce, Pasta, Salad, French bread, and Ice Cream. There will be fabulous raffle items and amazing auction items. Tickets are only $40 with a no-host bar. Socializing starts at 6pm and dinner at 7pm. This dinner is sponsored entirely by the Native Sons of the Golden West, Parlor #17. All proceeds from the event will be donated to the SCCBF to help restore the Historic Sutter Creek Grammar School. Great strides have been made in the restoration of this beautiful building and rooms are already available to rent for your special occasions such as: family reunions, conferences, etc. But there is still more work to be done. Be sure to get your tickets for the 5th Annual Shrimp Feed now, as there will only be seating for 120 people, and tickets are going fast. Call Sharyn Brown (209) 267-5503 today for your tickets and help complete the restoration of the Historic Sutter Creek Grammar School. Your participation and support is appreciated. All donations are tax deductible. Visit www.suttercreekfoundation.org for more information on the project. Help the Sutter Creek Community Benefit Foundation finish this amazing part of Sutter Creek’s history!